Bastila Shan was a Human female that served as a Jedi Knight during the Jedi Civil War. Born on the planet Talravin to Helena Shan and a treasure hunter, her mother gave her up to the Jedi Order, believing that their lifestyle of travel and exertions was not a suitable for the young Shan. Shan was found to have an exceptional gift with a Force power known as Battle Meditation; which increased her allies’ morale while demoralizing her enemies. Shan sided with the Jedi Council when the Jedi Knights Revan and Malak rebelled against the Council and joined the Galactic Republic in its war against the invading Mandalorian Neo-Crusaders. One year after the final battle of the Mandalorian Wars, Revan returned from the Unknown Regions as the new Dark Lord of the Sith, with Malak as his apprentice, at the head of a new Sith Empire. Two years into the Jedi Civil War, Shan was the leader of a Jedi strike team sent to capture Darth Revan and Darth Malak. When her team boarded Revan’s vessel, they managed to corner the Dark Lord on the bridge. Before they could engage Revan in combat, Malak, who was separated from his Master during the battle, betrayed Revan by ordering the guns of his flagship Leviathan to fire on Revan’s vessel, in an attempt to destroy both the Jedi and Revan. However, Shan survived and managed to use the Force to stabilize Revan, who was near death. This act created a bond between the two, and Shan brought the comatose Revan to the Jedi Council. Both the Council and Shan came up with a plan, and temporarily erased Revan’s memories, reprogramming Revan with an identity of a soldier loyal to the Republic. The Council hoped that Shan, through her bond with Revan, would be able to coerce Revan into revealing the location of the Rakatan space station called the Star Forge, which was now under the new Dark Lord Darth Malak’s control. In the final year of the war, Shan’s Republic warship Endar Spire was ambushed and attacked by Malak’s fleet above the Outer Rim planet Taris. She managed to flee the ship aboard one of its escape pods, assisted by Republic commander Carth Onasi. Shortly after her pod reached the surface, Shan was captured by a swoop gang known as the Black Vulkars. After Revan and Onasi landed on Taris, they managed to track down and rescue Shan. She, Revan, and their companions teamed up with the Mandalorian Canderous Ordo, managing to steal both the launch codes necessary to escape Taris and the Exchange crime lord Davik Kang‘s light freighter Ebon Hawk. Shan and her companions escaped during the Sith’s bombardment of Taris, and headed to Dantooine, where a Jedi Enclave was located. After Shan met with the Dantooine Jedi Council, they began retraining Revan in the Jedi ways. After finding a Rakatan Star Map in the burial mounds near the Enclave, the Council tasked Shan, Revan, and their companions with finding the Star Forge. During their travels, Shan watched Revan closely to ensure that he did not fall to the dark side. Shan eventually fell in love with Revan, who despite his past stayed true to Jedi code. After Revan found a fourth Star Map—which was necessary to locate the Star Forge—Shan was captured by Malak, and fell to the dark side after a week of torture at her new Sith Master’s hands. However, Revan eventually confronted Shan aboard the Star Forge, and she was redeemed from the darkness to which she had succumbed. To prove her reclaimed faith, Shan aided the Republic in the Battle of Rakata Prime through means of her battle meditation. Revan then vanquished Malak, and the Republic fleet successfully destroyed the Star Forge, routing the Sith forces. One year after Darth Malak’s death, Revan left for the Unknown Regions, seeking to eliminate a hidden Sith threat that Revan had discovered during his time as Dark Lord. He left all that he cared about behind, including Shan. She went on to survive the era of strife that followed the Jedi Civil War. 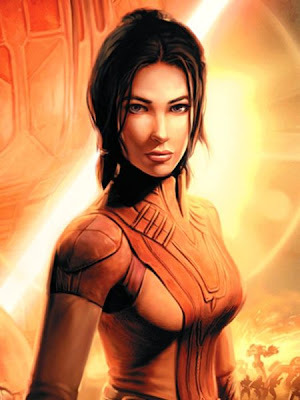 Bastila Shan, daughter of Helena Shan and a hunter, was born on Talravin. Shan shared a loving and powerful relationship with her father. Despite this relationship, she was not on good terms with her mother, Helena, believing that her mother pushed her father into dangerous hunts so they could live in wealth. At a young age, Shan was discovered to be exceptionally gifted with the Force. 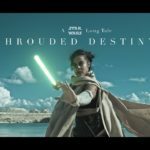 She did not wish to leave her father behind and join the Jedi Order, but her mother felt that the life she and her family led —one full of relentless travel and fruitless exertions— was not good for Shan. She believed that her daughter’s life would be better with the Jedi, and gave her to them. Shan was separated from her family and began her training, quickly proving to be an exceptional Jedi Sentinel. Shan was discovered to be gifted with a Force power that would gain her considerable renown later in life: Battle Meditation. It was a rare skill that increased the morale of her allies in battle and reduced her enemies will to fight. This ability would make her a considerable asset in the Galactic Republic’s plans to defeat the Sith Empire during the Jedi Civil War. As a young Padawan, Shan was present when Malak, on behalf of his best friend and mentor Revan, delivered a passionate speech that denounced the inaction of the Jedi High Council against the invading Mandalorian Neo-Crusaders. Though Shan refused to join Revan’s growing rebellion, she witnessed several Jedi, including the future Jedi Exile, willingly submit to Malak and Revan’s cause. Later, when those same Jedi returned as Sith during the Jedi Civil War, she became one of the most active supporters of the Jedi Order. In 3,957 BBY, the Jedi Council sent Shan and a strike team to capture Darth Revan. Along with at least three other Jedi, Shan managed to board his flagship and fought their way to Revan. Her team had just cornered the Sith Lord on the bridge, but before they could engage him in combat his apprentice, Darth Malak, betrayed him and fired upon the ship. Revan was left clinging to life. Shan, remembering that a Jedi seeks to preserve all life, was able to keep him alive and preserve his mind using the Force. This act resulted in a powerful Force bond between them. Shan then brought Revan to the Jedi Council. The Council then decided that they would use the Force to temporarily wipe his memory, even though being considered an immoral use of the Force. Revan was then reprogrammed with a new identity, one that was loyal to the Republic. They hoped that, with time, his submerged memories would cast some light on the many mysteries surrounding him. 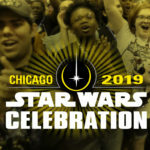 They were especially interested in finding the Star Forge and stopping the legions of Sith invaders that were attacking Republic affiliated planets. Following Revan’s apparent death, Darth Malak declared himself the new Dark Lord of the Sith. He knew that the Republic fleet had been saved from certain destruction by Shan’s gift with battle meditation. His primary objective became to capture Shan and turn her to the dark side of the Force. He would then use her skills with battle meditation to crush the Republic. 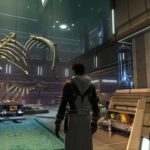 During the quest to find the Star Forge, the Ebon Hawk was captured by the Leviathan, Malak’s flagship. 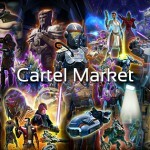 Shan, Revan and Carth were placed in their own cells apart from the others. Saul Karath proceeded to torture the three in an attempt to get Revan to tell him where the Jedi Academy was, what they were looking for, and what their mission was. After they were freed by one of their crew members, Shan, Onasi, and Revan headed to the bridge to release the tractor beam. When they reached the bridge, they engaged in a firefight with Karath and his troops. Mortally wounded, Karath told Onasi of Revan’s true identity. Onasi then demanded answers from Shan. She promised to answer his questions once they escaped. Just before reaching the docking bay, however, Darth Malak halted their escape. Casting Onasi aside with ease, he told Shan that he had spent far too much energy arranging her capture to let her escape, and he wanted to see his old Master in person. He told Revan about his former life as the Dark Lord, and Shan was forced to come clean to him, telling him about his mind-wipe by the Jedi council. Malak told Revan that he had been a mere puppet of the Jedi Council. Revan struggled to understand with both Shan and Malak giving him a different story. Malak made it seem as though Shan was using Revan to indulge her own interest in the power of the dark side, Shan telling Revan that she was trying to redeem him and save the galaxy. After Revan told her that he understood and forgave her, Malak was enraged, and used Force stasis on Shan and Onasi, preventing them from helping Revan while Malak engaged him in a duel. The duel between the two was brief and Revan managed to drive Malak to the brink of defeat before Malak used Force stasis on Revan. Shan sacrificed herself by attempting to distract Malak so that Revan and Onasi could escape and find the Star Forge. After subjecting her to torture by Force lightning, Malak eventually succeeded in forcing her to give in to her hate and fall to the dark side. She became convinced that the Council was holding her back, using her, and so she took her place as the Dark Lord’s apprentice, replacing the slain Darth Bandon. In time, she would reunite with Revan atop the Temple of the Ancients on the world of Lehon, though under unexpected circumstances. Shan told Revan, Jolee Bindo, and Juhani that she had sworn allegiance to Malak and was now his apprentice, boasting that she would aid Malak in taking over the Galaxy, taunting an anguished Revan. She engaged all three of them in a lightsaber duel, but was no match for the three Jedi. Shan threw a Force wave at the three in order to save herself from defeat. After seeing how powerful Revan was despite what the Council had done to him, she came to believe Revan deserved to be the Dark Lord of the Sith. 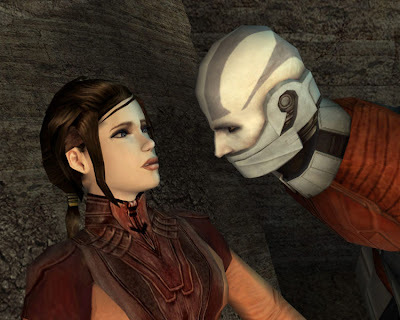 Shan attempted to persuade him to reclaim his former title, reminding the Jedi Knight of all the Jedi Council had done to Revan, Revan was forced to grapple with the dark legacy of his former self, Shan reminded him that she could sense his thoughts through the Force bond linking them, Revan stated that there was something more than the Force between them: love. Shan sneered at him and said that the only thing between them was the Force and power. 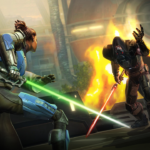 Shan beckoned Revan to join her, to reclaim the Sith Empire and take revenge on Malak. Revan angrily demanded to known how he could trust her after she had already betrayed him, Shan informed him that she need not deny herself anything anymore, and said she would stand by his side gladly as his lover and apprentice. Claiming that she would be ‘utterly his’, she told Revan to make his choice. Revan calmed himself, made the choice of a Jedi Knight, and rejected Shan’s offer of power. Angered at her failure to turn Revan, Shan retreated to the Star Forge where she and Revan eventually had their final battle. Shortly after Revan and his crew boarded the Star Forge, Malak summoned Shan, who was using her battle meditation against the Republic fleet, enabling the Sith to predict their enemy’s move and strategies. Though she feared Revan’s power, Malak told Shan that if she defeated Revan, that she would prove herself worthy of being his apprentice. She assured Malak that she would not fail again. Shan did not have to wait long. 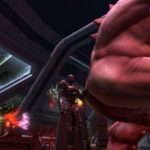 Revan and his companions reached her swiftly and Shan lashed out with the force, disabling Revan’s companions and launching a vicious attack on Revan, which he quickly countered. Shan eventually withdrew and began to taunt Revan, only for Revan to attempt to sway her back to the light side of the Force. Shan angrily attacked again, only to meet the same results. Even with the full power of the Star Forge behind her, she was still unable to defeat Revan. Realizing she was no match for him, Shan yielded, pleading with him to quickly end her life. Revan refused, saying she could return to the light side. Shan didn’t believe she could, and again begged Revan to kill her. Revan again refused and confessed to Bastila that he loved her. Shan admitted that she cared for him as well, and then asked what good was love. Revan told her that she could be redeemed; swayed by his words, Shan agreed to try and redeem herself. Shan renounced the dark side and confessed her love to Revan. 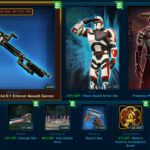 Redeemed, Shan used her battle meditation to turn the tide of the battle in the Republic’s favor. Revan, meanwhile, went after Malak and dueled his former apprentice in the Star Forge’s command center, where he defeated the Dark Lord. Revan caught up with the rest of the crew, including Shan, shortly before they left the station. 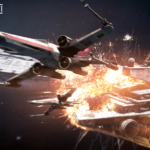 The Republic fleet destroyed the Star Forge moments later. Bastila’s last message to T3-M4. After the battle, Shan and Revan, along with their companions Carth Onasi, Mission Vao, Zaalbar, T3-M4, Canderous Ordo, Juhani, HK-47, and Jolee Bindo, were honored as the saviors of the galaxy. A year after the Star Forge’s destruction, Revan recalled a great threat to the galaxy that he had discovered while he was the Dark Lord. He set out alone into the Unknown Regions leaving his loved-ones, including Shan, behind, knowing that to take them to the places he had to go would bring destruction to them all. Before Revan and T3-M4 left known space, Shan secretly programmed the droid to return to known space and find her should something happen to Revan. Should T3-M4 have been unable to locate her, the droid was to find any Jedi who could help. At some point, this command became active, and T3-M4 discovered the Jedi Exile. Shan remained behind with the rest of the Ebon Hawk’s former crew, keeping the Republic safe as Revan had asked them to and waiting for the day when he would return. In the aftermath of the war, as the Sith Triumvirate and G0-T0, among others, hunted the remaining Jedi Knights to near extinction, she was one of the few to escape their notice. 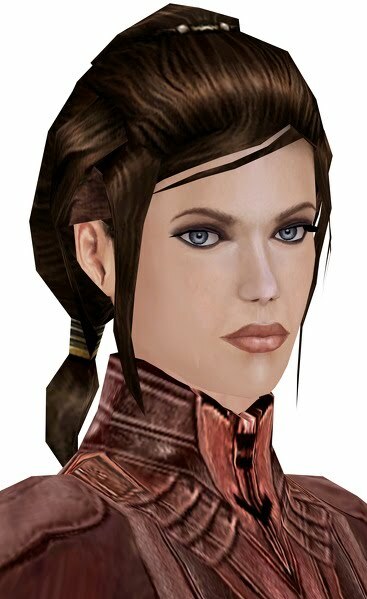 When the Jedi Exile—the new owner of the Ebon Hawk—left known space to search for Revan at Carth Onasi’s request, Shan was one of the few known surviving members of the Jedi Order. Shan possessed many qualities that set her apart from her peers and destined her for greatness, but these same traits and the inexperience of her youth set her down the path that would eventually lead to her fall. Brash, impulsive, and somewhat overconfident (thanks in no small part to the rare gift that was her battle meditation), Shan acted as though she were unstoppable, though she was constantly aware of the responsibility resting on her. Despite the warnings of her masters, Shan continually sought to prove her worth by devoting herself to defeating the Sith. Shan’s relations with the Jedi Council and the Jedi Code were complicated. During the Mandalorian Wars, she trusted the Council’s wisdom, rejecting Malak’s proposal to join the fight—and years later, when the Jedi Civil War was at its culmination, still believed it was the right decision. Nevertheless, she thought the Jedi Masters were self-absorbed and stodgy—not to mention edgy, critical and overly secretive. Shan thought the Council intended to use the quest for the Star Forge to test her abilities and determine if she was worthy of the rank of Jedi Master—only to discover that she was, in the end, far from it. Shan tried to follow the Jedi Code as strictly as possible, to the point of expressing even more radical views than some Jedi Masters—she believed that nobody deserved death without a chance of redemption, a belief that would later result in Revan’s return to the light side. However, she was not always able to suppress her emotions, and sometimes disregarded the very idea that love should be outlawed among the Jedi. 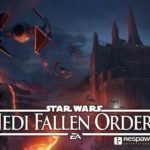 Seeing Revan, once the Dark Lord of the Sith, climbing up the path of the light apparently without any trouble or internal struggles made her question her own devotion to the Jedi Code, even though she and Revan agreed to prevent each other from diverging from that course—and the development of this self-doubt later played no small part in her eventual downfall to what she feared most: the dark side. Despite her youth, Shan was skilled in the rare power of battle meditation—through the Force, she could affect the outcome of a battle by thought alone. Through this power, one side was granted strength and a boost to their morale, in addition that side would be granted perfect coordination and the ability to respond instantly and perfectly to the enemy’s every change in formation and strategy. These effects caused significant damage to enemy morale and fighting effectiveness thus causing two important shifts in the battle towards the user’s favor. 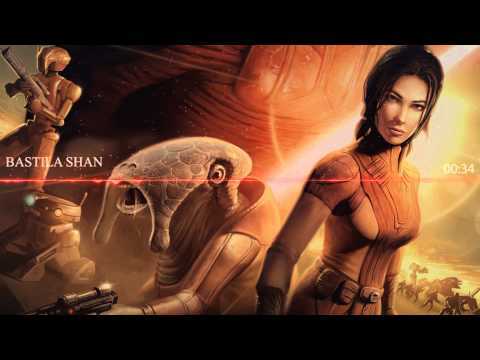 Shan had a very strong Force Sense and could sense disturbances in the Force such as Darth Malak’s presence, although this might have been merely telepathy or an extension of her Force bond with Revan. She could also use Force Stun and was capable of using the Jedi Mind Trick on Hutts, such as Motta. During her short time as a Sith apprentice, she was capable of using Force powers such as Force Insanity, Force Choke, Force Wave, Force lightning, Force Plague, Force Breach, Drain Life, and Force Stasis Field. From her point of view, she was more powerful than all but a few Jedi Masters, Malak, and of course, Revan himself. Additionally, Shan was a skillful duelist, capable of taking on the redeemed Revan, Juhani and Jolee Bindo atop the Temple of the Ancients and emerging relatively unscathed, albeit defeated.